Featured on the Discovery Channel and in National Geographic Magazine. Their commitment is to research, education and responsible whale watching. All trips are led by a professional marine biologist. 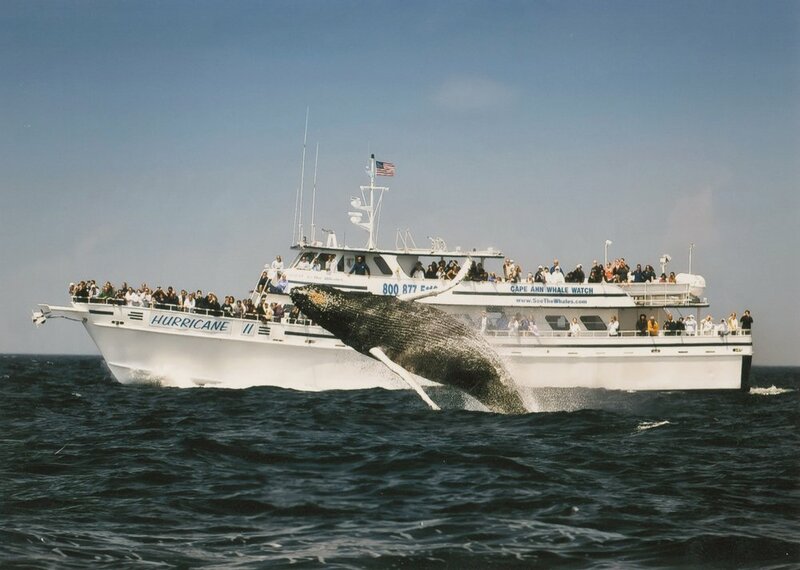 The area’s first and most experienced whale watch since 1979! Sail aboard the Hurricane 2, the largest and fastest vessel out of Gloucester! See historic mansions, shipyards, islands, beaches, wildlife and birds. Delight in outings, clambakes, celebrations and free parking. 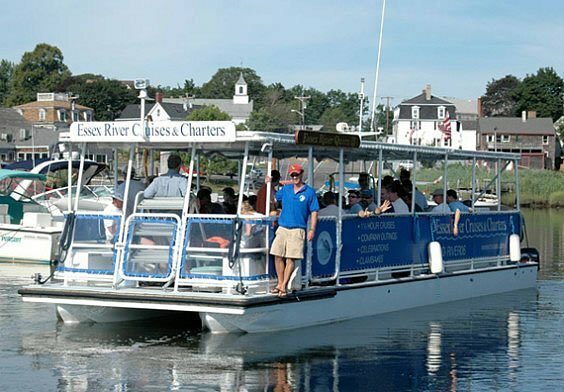 “Enjoy a river excursion that captures the essence of New England,“ says the Boston Globe. Designed and built by master shipbuilder, Captain Harold Burnham is the 28th Burnham to operate an Essex Shipyard since 1819. 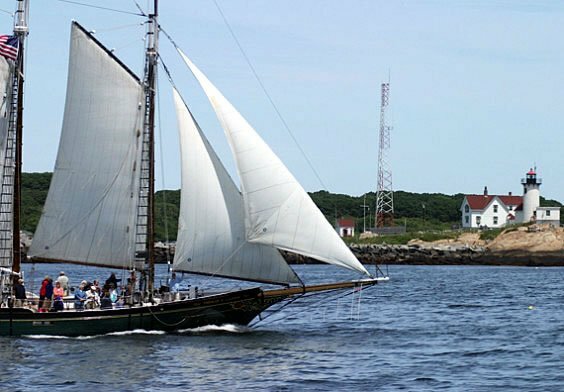 The pinky schooner Ardelle sails out of Maritime Gloucester offering great views of Gloucester’s working waterfront and outer harbor, Hammond Castle, Ten Pound Island and Eastern Point Lighthouses, the Dog Bar breakwater, Norman’s Woe and Massachusetts Bay. A visit to Gloucester would not be complete without a sail on the Thomas E. Lannon. 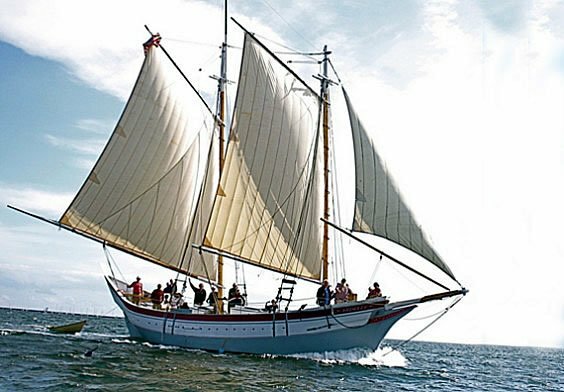 Help the crew raise the sails or just sit back and enjoy Gloucester’s scenic coastline. Perfect for private parties and functions. The coolest guys around featured in the movie “The Perfect Storm.” Tours daily through the ice house.